Business promotion has become diverse and interesting as never before. Marketers vie to come up with the best and the most trending custom gifts and promotional ideas to woo their audience and increase leads. Reports show that highly practical items that people can actually use in their daily lives make the most popular custom gifts. 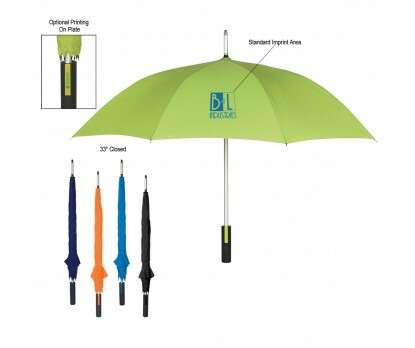 Custom umbrellas are excellent promotional items to influence your users and to bring them closer to your brand. Umbrellas are useful throughout the year. No matter whether your recipients use it as weather wear items, props or fashion accessories, umbrellas will never fail to keep your brand on a wide display. Offered in a wide range of models and price points, umbrellas can be selected as per the specific needs of the target audience. Golf umbrellas make a great leisure gift for the golf loving clients and executives on your list. If you are looking for something small and sleek for people on the move, mini umbrellas will make a great choice. The classic wood stick umbrella is another best selling umbrella that can be considered. 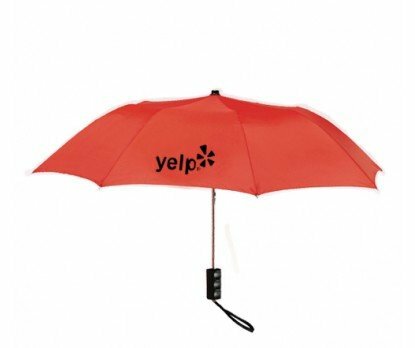 Antiwind umbrellas are just right for those who follow an active life style while combo models like flashlight umbrellas will make a curious choice for marketers who desire to get more value out of their gifts. 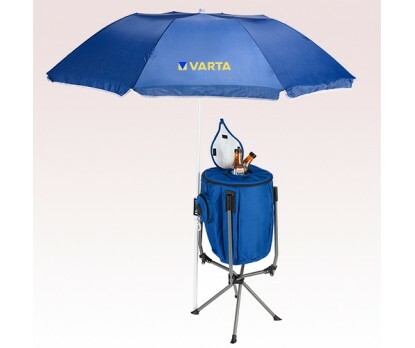 Umbrellas make great promotional products that are useful to everyone. The large canopy will make a great blank canvas for you to place your brand and message. The massive umbrellas remain easily visible from a distance and will attract a lot of attention even in crowded events like beach events or tradeshows. Umbrellas have an impressive shelf life and will last long. 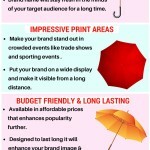 On an average, custom umbrellas have retention of atleast 18 months, which is higher than most promo items. The best part of umbrellas is that these are gender neutral. So, if you have been wracking your brains to find a perfect gift for your diverse audience groups that comprises of people of all age groups and diverse life styles, you can place your dime on custom umbrellas. 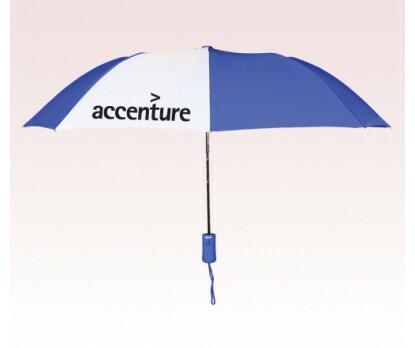 Printed umbrellas are preferred by many corporate houses because these are not season specific and can be used all round the year; that too for years on end. 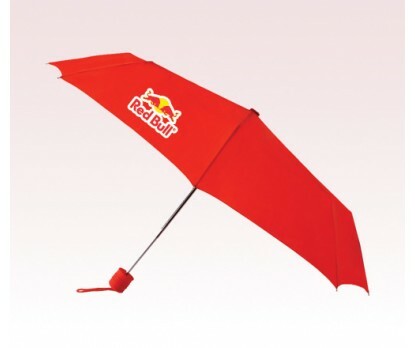 So just imagine the exposure your brand will get on these imprinted umbrellas. 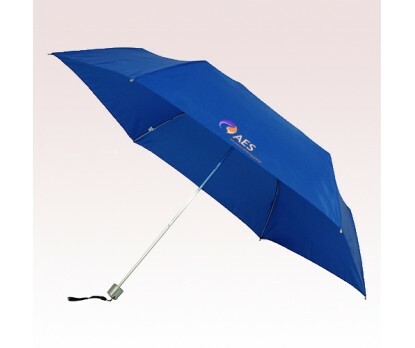 Cost effective and practical, custom umbrellas will never stop working for your brand. It is a smart option to grab easy attention during store promotions or street corner meetings. 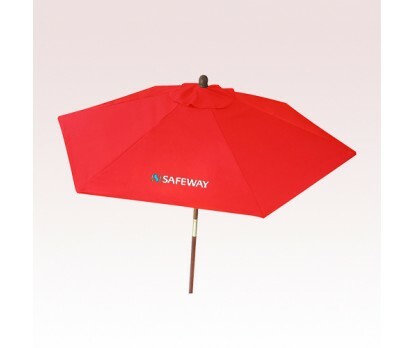 Offered in a multitude of fabulous colors, umbrellas can be easily matched with your promotional theme for added effect. So if you want to promote your brand on a budget and in a striking manner the best way to do it is through custom umbrellas. 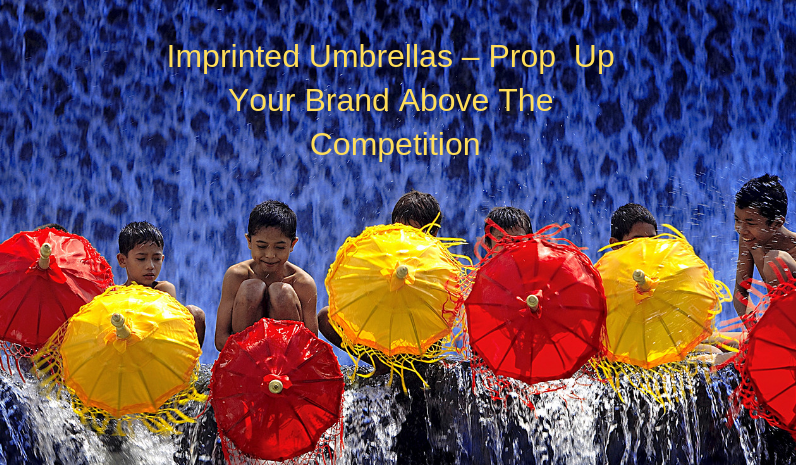 Shop from our wide range of logo umbrellas at unbelievably low prices and stand out in the competition literally!